I gasped, and fell prone from the bed to the floor, wondering what sleep even felt like any more. They were coming. They were closer. 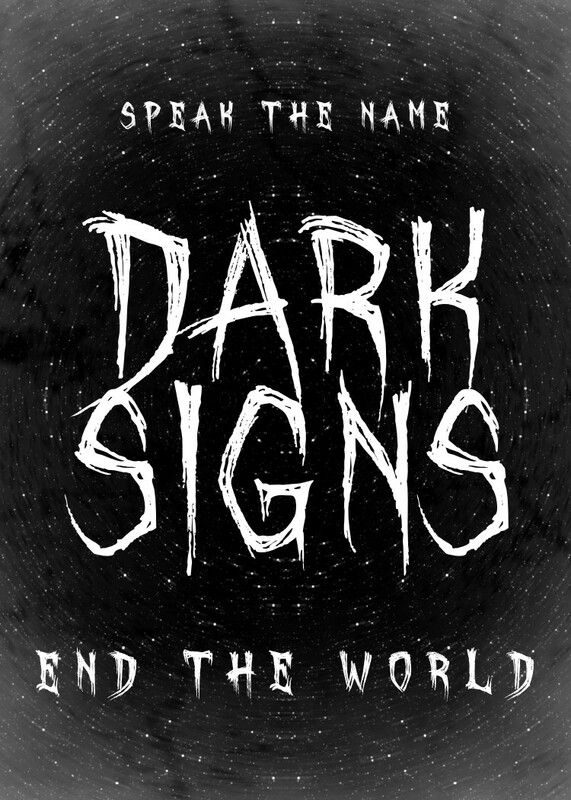 Dark Signs is a area-control hand management card game for two to four Terrible Outsider Entities that seek to warp and bend the mind of a lone mortal vessel and invoke upon that pitiful soul the unholy and unnatural syllables of their name. Every night, the Outsiders visit a nightmare upon this mortal, and every night, the mortal wakes with a word on their lips, closer, closer, ever closer to speaking the profane and unnatural name of one of the Outsiders, drawing them to this world, letting them through the spaces and bringing about the end of all mortal instrument. Want to Buy Dark Signs? You can now buy our games directly from this website! You can choose either the original Pay-What-You-Want download of Grey Goo, or the physical edition with laminated board and set of 16 dice. If you want to avoid postage costs or try our games out in person, you can also catch us on the convention circuit. For international customers, you may prefer to buy print-on-demand via DriveThruCards (the same printer we use for our local stock). 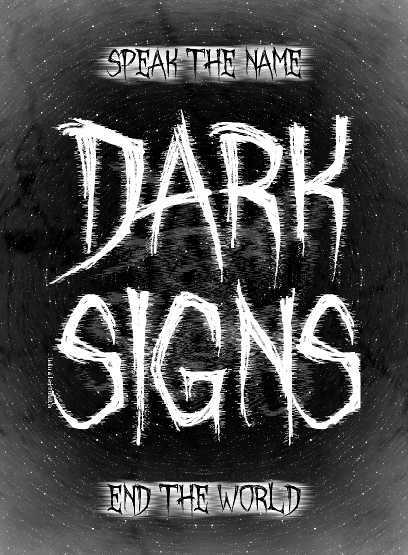 You can buy Dark Signs at DriveThruCards as a professionally printed card deck. Already bought Dark Signs? Download the latest revision of the Dark Signs rulebook. You can also follow us to receive notifications of rules updates!